Just days after the official sales launch of the new BMW M2 Coupe, BMW is presenting a tribute to the BMW M family’s compact high-performance sports car: the BMW Cruise M Bike Limited Edition. A core stylistic element of the bike is its Long Beach Blue metallic paint finish, which matches the official colour of the BMW M2 Coupe. Like the M2 Coupe, the BMW Cruise M Bike Limited Edition – which will be produced in a limited run of 1,500 units – boasts exceptional dynamics and agility. The bike cuts a powerful figure thanks to the hydro-formed aluminium frame’s distinctive “bullneck” – reminiscent of the tank position on a motorcycle – and its clear transitions in form. Sumptuous, smooth welded seams lend a single-mould look to the frame design. And, like its automotive inspiration, the two-wheeler uses an eye-catching Long Beach Blue metallic colour scheme to highlight its confident character and spread joy through the ranks of BMW M aficionados and beyond. The bike’s striking design concept is complemented by high-quality technical components, which generate a special feeling on the road. 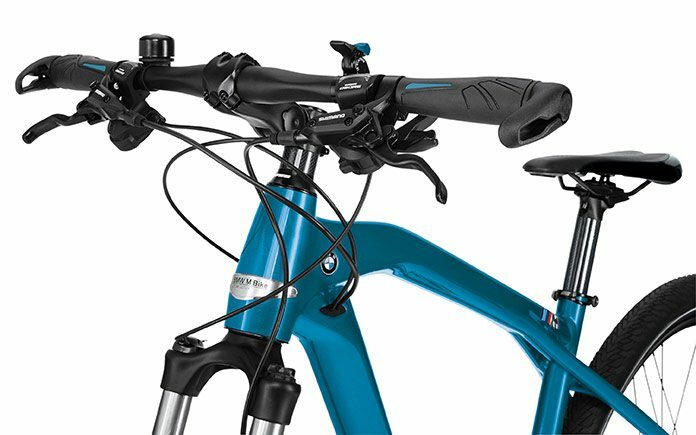 The carbon seat post and spacer ensure the BMW Cruise M Bike Limited Edition is a light yet also a strong device. 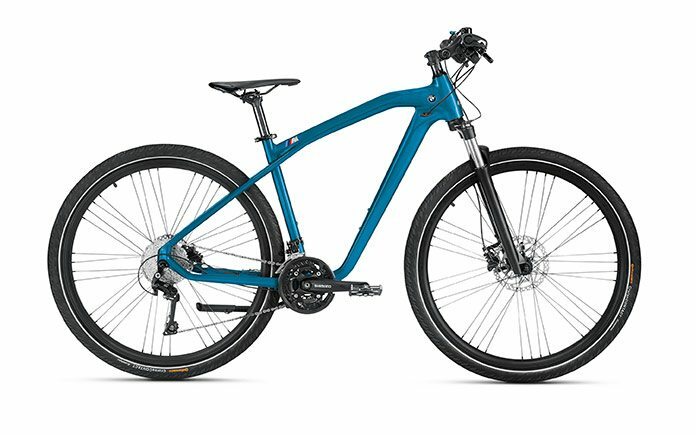 With larger wheels (now 28 inches), a 30-gear system and Shimano hydraulic disc brakes, it has all the tools to deliver the last word in riding pleasure – on straight roads and twisty or hilly routes alike. Every example of the limited-run special edition also has its own specially made plaque. 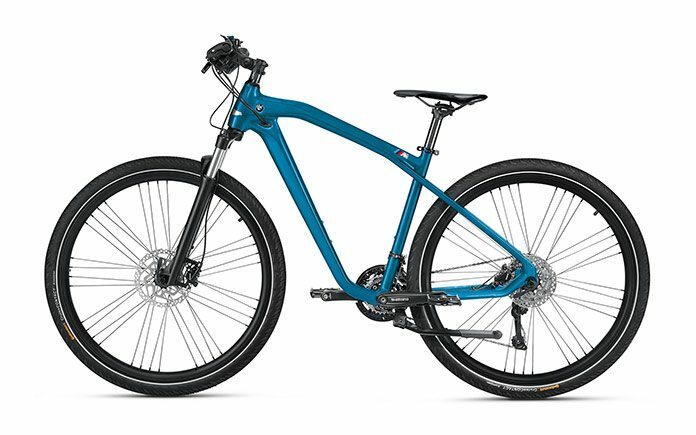 BMW Cruise M Bike, while the BMW Cruise e-Bike impresses with an even more powerful proposition (thanks to its 400-Wh battery) and a top speed with electrical pedal assistance of 25 km/h (16 mph). All the above models come with larger wheels (now 28 inches) and an additional frame size (S – from 160 cm, M – from 175 cm, L – from 185 cm). For the youngest members of the BMW fan family, BMW has also created a perfect option: the BMW Cruise Bike Junior. 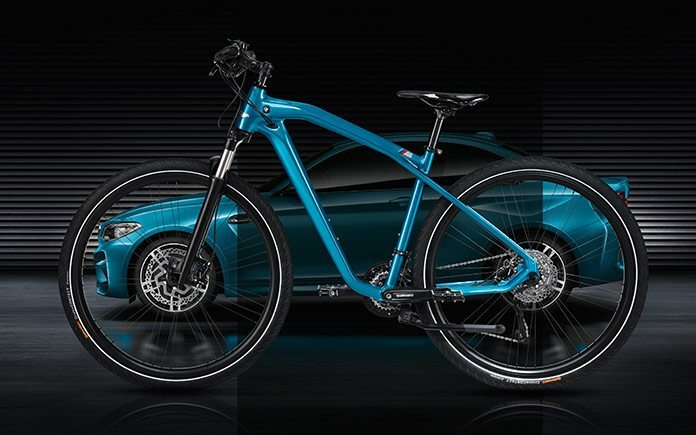 The BMW Cruise M Bike Limited Edition is available at selected BMW retail partners.